Deborah Stratman's witty and mesmerizing short film, Hacked Circuit, shows the painstaking work that goes into creating sounds that match up with filmed activity. 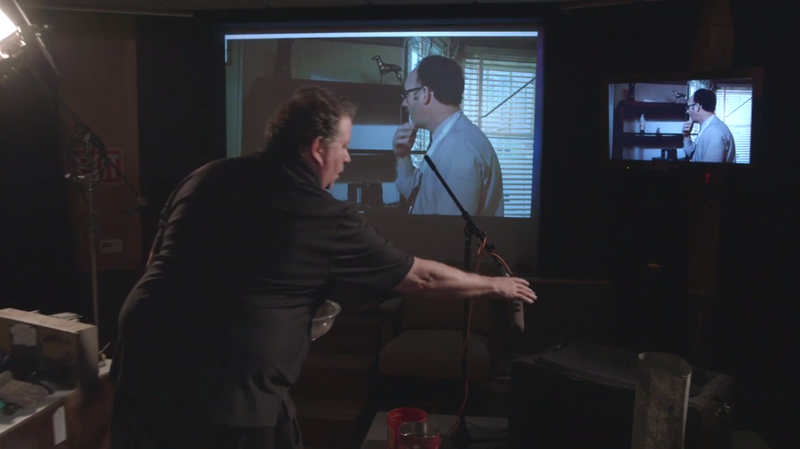 Stratman documents an audio engineer and a Foley artist as they recreate the audio from a kinetic scene in Francis Ford Coppola's The Conversation, in which Gene Hackman's character wrenches apart his apartment's walls and floors while fruitlessly looking for a hidden recording device. 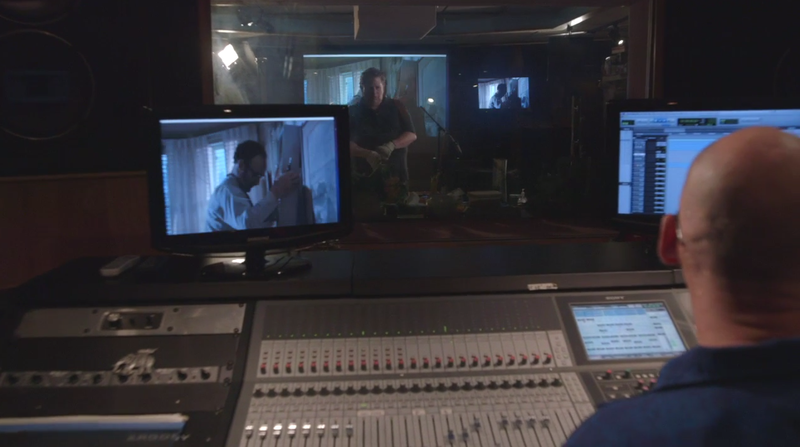 The inherent fascination with the Foley process, with its home-made and unpredictable tools and techniques, is emphasized by the fluidity of the camera's single take. Stratman's visuals do conjure up "Big Brother" and surveillance, but the film also simply pays homage to professionals doing their jobs well.